To keep our body active 8 hours sleep is enough. But some people like sleep so much they do not want to come out of their beds. For some people it is the easy way to get rid of from work. But do you know it is harmful for your health? Often when we do not have any work then we sleep for long hours. Studies have shown that people who sleep more than normal situation they are dull and cannot work properly. In addition they may have heart attack and other serious illness. It is better you quit this habit. You may have such disease by excessive sleeping. Does excessive sleep is harmful for our health? 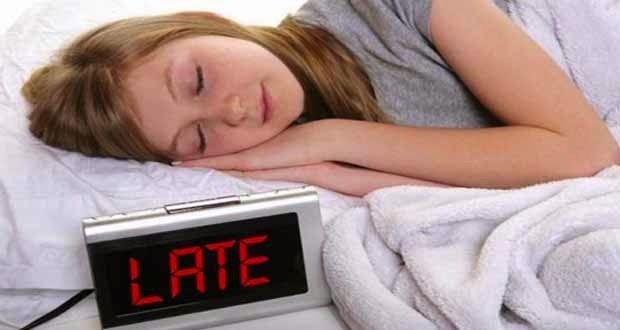 Diabetes: Studies say that people who sleep for more than 9 hours are more likely to have diabetes. Makes your life Inactive: If you remain sluggish due to more sleep then your body's energy is converted into fat. It enhances your obesity. Obesity: As stated above in-activeness is the cause of obesity. According to studies, people who sleep more than the risk of obesity increase by 21 percent. Headache: Who does not love a comfortable sleep but did you know that peace can cause your headache. More sleep has a direct effect on neurotransmitters in your brain, which cause headache impairment. Lower Back Pain: Our waist has pain due lying for long hours. The veins starts shrinking and blood does not circulate properly. This can become a big problem. Depression: Some people prefer to sleep more because of depression. You will not be able to solve issues by sleeping in the living room. Heart Disease: More sleep is also harmful to your heart. According to studies, people who sleep more hours are more likely to get heart disease. Sleep Dankness: When you become victim of sleep dankness then your mind remains awake even in the sleeping state. Hence, more sleep is harmful to your health.